Thanks to a grant program drill with us to Europe, a new machine Rollomatic GrindSmart 528XF was added to our machine park. It is 6 axis high precision tool grinder designed for the production of ultra-long drills ranging from Ø 0.5 up to 12.0 mm with the ability to reach diameter and length ratios beyond 150XD. 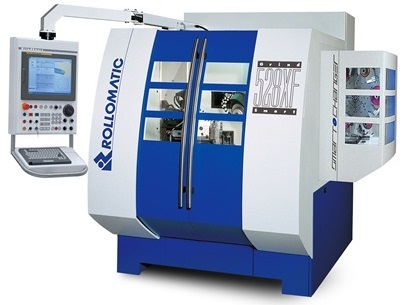 Machine allows grinding extreme cutting lengths up to 280 mm long. Very fast and accurate robotic stacker is part of this machine. It can be fitted with 150-500 pieces. After 14 days of training by Swiss technical experts, now the machine is in trial operation.